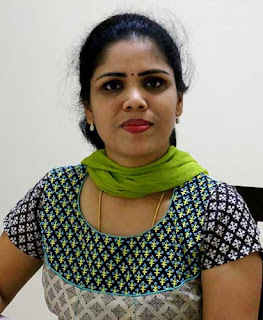 I have already posted ribbon pakoda few years back. 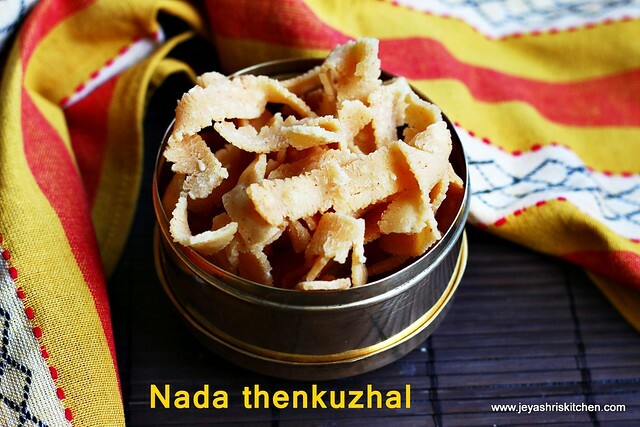 This version of ribbon murukku is an interesting one without the usual rice flour and gram flour combo. 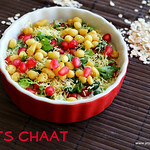 As mentioned in my milagu thattai post, this recipe too i got from my chitti. 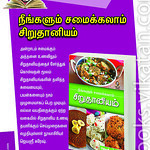 My amma passed on this flour according to the proportion mentioned by her. 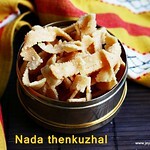 So i had the ready made flour and i find it very easy to make ribbon murukku with the instant flour. 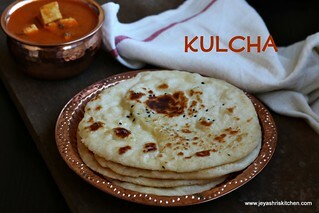 Even making the flour at home is quite easy one too. 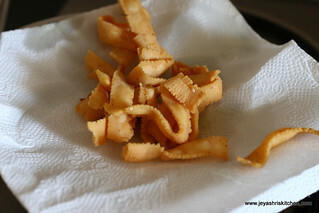 The ribbon pakodas were too crispy and a perfect snack for diwali too. 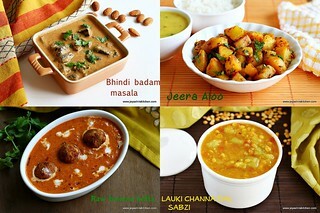 If making the flour in rice mill, dry roast the urad dal, channa dal and moong dal till it emits a nice aroma. 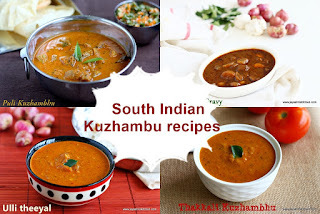 Add it to the rice along with pottukadalai and make it into a flour. 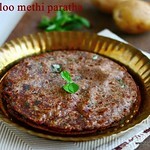 If making at home, take 6 portions of rice flour, powder the pottukadalai and powder the roasted dals too. Sieve everything together for even mixing. 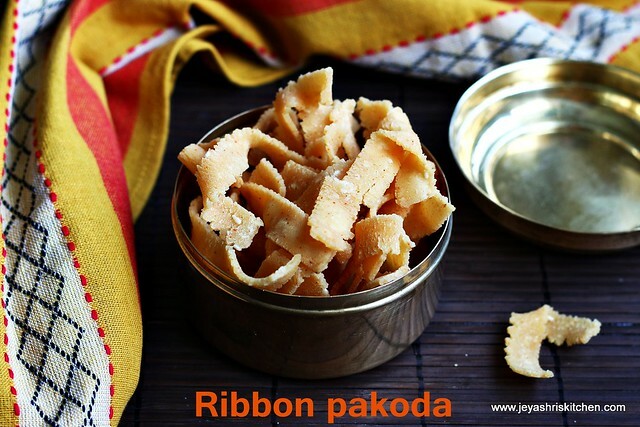 Flour is ready for ribbon pakoda|ola pakoda. 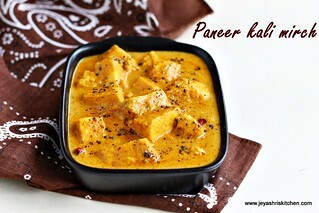 In a wide bowl take 2 cups of flour, add sesame seeds, butter,hot oil, red chilli powder,salt and asafoetida. 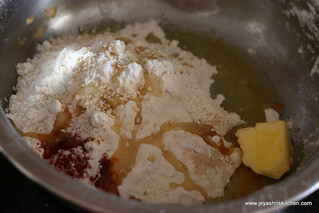 Add little water to this and make into a soft dough. 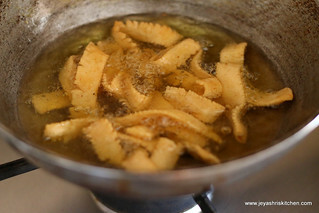 In a murruku press using ribbon pakoda achu press the ribbon pakoda into hot oil. Ensure the oil should not be smoky. It should be medium high. Fry till the sound subsides. Drain in a kitchen towel. Repeat this for the rest of the dough. Store in a dry air tight container. 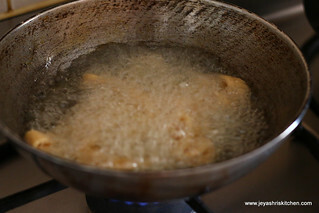 Do not overcrowd the pakodas in oil. It will not get cooked. While making the first batch , keep the dough covered . 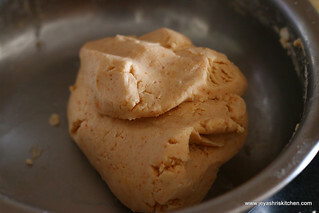 Do not knead more dough, it will make the pakodas reddish soon. 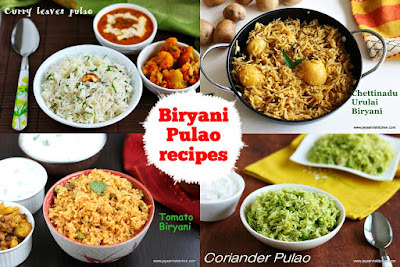 If you want you can add ground fresh pepper and add instead of red chilli powder. 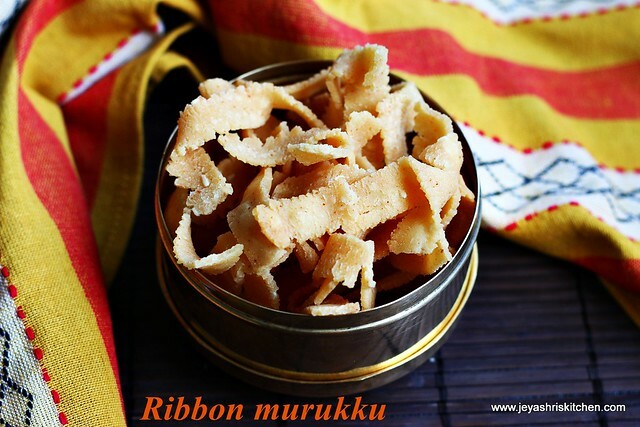 ribbon murukku looks so crunchy and delicious. Eye tempting and mouthwatering too. But we used to try with basindal. Thanks for the new one.